On behalf of the Board and staff at the ECAO, we wish you all a very Merry Christmas, happy holidays and a healthy and prosperous New Year. 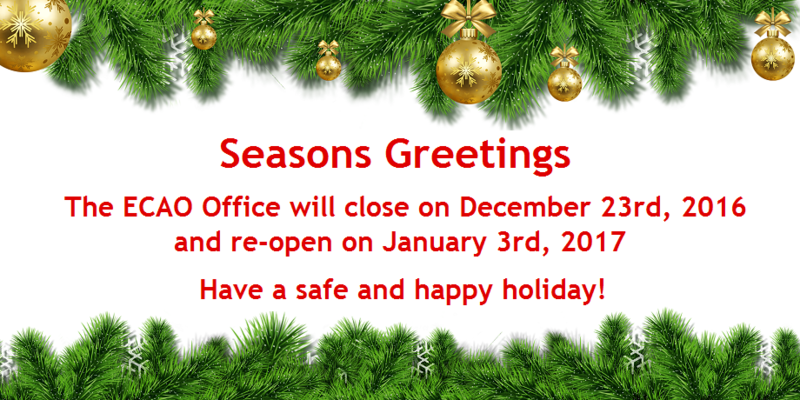 We hope you are able to enjoy time with family and friends and we look forward to working with you in 2017. 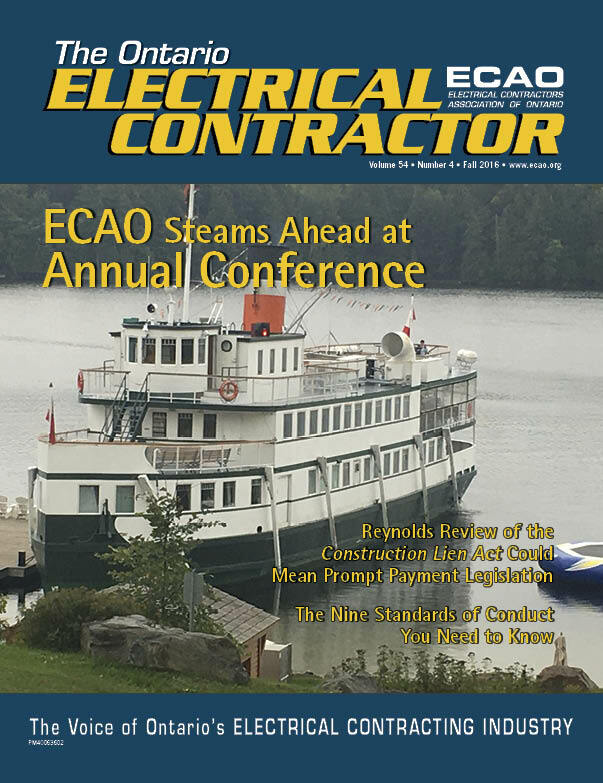 The most recent version of our quarterly magazine – The Ontario Electrical Contractor – is now available in print and on-line at ecao.org. This issue is packed with great articles covering a variety of topics including; the construction lien act review, project managers’ competencies, the nine standards of conduct you need to know, medical marijuana in the workplace and a recap of the 2016 annual conference. 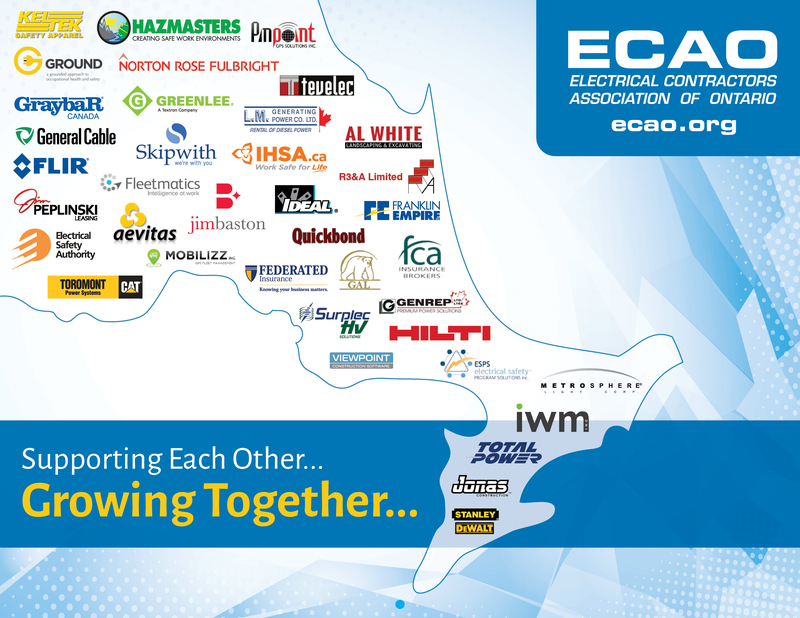 ECAO’s 2017 calendar, featuring our associate members, will be arriving in mailboxes soon! Want your own copy? Just drop us an email at ecao@ecao.org and we’d be happy to send you one. Don’t forget to check out the ads each month and one day in particular for a chance to win a prize. Thank you to our sponsors whose generous support makes the production of our calendar possible. 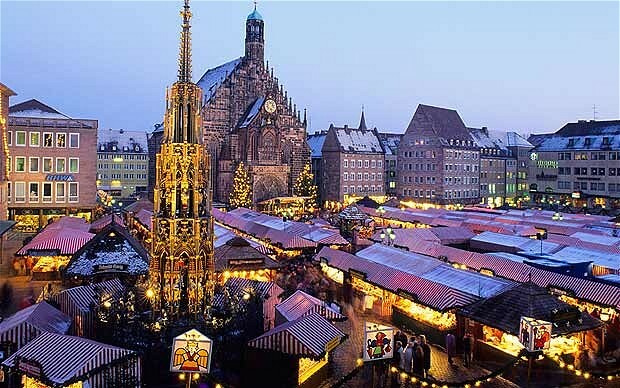 As one of the optional activities at our 2017 ECAO Conference in Germany, you’ll have the chance to visit the beautiful and historic medieval walled city of Nuremberg, once the center of the Holy Roman Empire, cradle of the German Renaissance, Temple City of the Third Reich, and home to both the Nuremberg Nazi Rallies and Nuremberg Trials. You’ll see where German Emperors were crowned, where saints are buried, where the most famous and talented German artisans in history created awe-inspiring works and where the colorful and lively markets have taken place for almost 700 years. Above ground you will visit highlights in the Old Town including the city walls, Craftsmen's Court, St Lawrence Church, Marketplace with the Beautiful Fountain and Wishing Ring, Old Town Hall, Albrecht-Dürer-Platz and the Imperial Castle Courtyards. Below ground you will explore the city’s catacombs where, since the end of the 14th century, due to a regulation from the city council, beer and whiskey have been stored and aged. Don’t miss out on unique, once in-a-lifetime experiences like this as well as great seminars and more. Register on-line today at ecaomunich2017.ca. It’s been a few months since the report Striking the Balance: Expert Review of Ontario’s Construction Lien Act was released and while its authors Bruce Reynolds and Sharon Vogel have been working on the report since 2015, they recognize there is a lot more work ahead. "We have to work very hard to try and make sure that the legislation that emerges out of the process that's coming will capture the recommendations in a way that is workable in the industry, in the businesses on a day-to-day basis," said Reynolds. An informal discussion with Reynolds and Vogel took place during the CEO Breakfast, hosted by the Toronto Construction Association (TCA) and ConstructConnect, as part of Construct Canada. The discussion was led by John Mollenhauer, president and CEO of the TCA, and Glenn Ackerley, a TCA board member and WeirFoulds construction lawyer. Read more at Daily Commercial News. Auditor General Bonnie Lysyk’s annual report issued a broadside at apprenticeship programs, reporting that fewer than half of the people who begin an apprenticeship program in Ontario complete it. In fact, the average completion rate for apprentices in Ontario over the past five years was about 47 per cent. Completion rates for voluntary trades were significantly lower than for compulsory trades — 35 per cent versus 59 per cent. The auditor general found a lack of direct financial incentives for employers to ensure apprentices reach certification was a main reason why there might be low completion rates. The report also noted that the ministry lacks the labour market information necessary to both improve existing programs and develop new ones to meet the current and future labour needs of Ontario. It also found the majority of employment and training program clients are unsuccessful in finding full-time employment in their chosen career. Read More. The first digital platform featuring tool control, inventory management, tool reporting and tool tracking, giving users a new level of control, information and job site solutions. Learn more about this free mobile app. e-News Brief will connect your business directly to an association’s members. Bill S-224, the Canada Prompt Payment Act, has passed second reading in the senate. The bill, initially introduced by Manitoba Senator Don Plett, "ensures that the government institution must make progress payments to a contractor on a monthly basis, or at shorter intervals provided for in the respective contract. This payment requirement is consistent down the contractual chain." The proposed legislation only covers contracts and the sub-contracts of those contracts with the federal government, all other construction projects fall under the purview of the respective provinces and territories. The Bill also accounts for milestone payments and stated contractors have the right to suspend work, terminate a contract and collect interest on late payment. It is expected that Bill S-224 is the first item on the agenda for the Senate Standing Committee on Banking, Trade and Commerce on Thursday, Feb. 2nd and Wednesday, Feb 8th. Read More. Accessibility Requirements Coming – Are You Ready? Jan. 1, 2017 means a new year of great opportunities lie ahead. It also means new accessibility requirements are coming into effect for businesses and non-profits. The new standard requirements depend on the number of employees you have. The Ontario Accessibility Standards Tool Box provides some great tips and tools to make sure your company is ready for the changes. For the latest edition of the Toolbox newsletter click here or to view the rules and deadlines for accessibility in Ontario click here. More than 100 submissions were received by the Ministry of Labour (MOL) regarding their proposed construction health and safety awareness training. The proposed program aims to improve workers awareness of common construction site hazards and how they may be eliminated or controlled. There was a strong feeling from those who made submissions that the training should not apply to experienced workers. Respondents believe the training should be incorporated into apprenticeship programs and/or the education system. There was also support for an eLearning delivery model as an option. Employers would also like performance measures put in place to assess the effectiveness of the training and create a database of training records to ease the administrative burden. MOL staff have reviewed the stakeholder feedback and are determining options for how to implement the proposed training in light of the concerns and suggestions brought forward. What are the top barriers and issues affecting the health and safety of workplaces in Canada? What can we do about them? The Canadian Centre for Occupational Health and Safety (CCOHS) is inviting workers and employers to take part in an online survey the results of which will help formulate answers to these questions and more. CCOHS is inviting the public to take part in the survey and voice what they experience in their own workplaces. The results will be consolidated into a report that d will be available in early 2017, according to CCOHS. The survey closes December 30, 2016, and can be accessed from the CCOHS website HERE. Bill 132’s changes to the Occupational Health and Safety Act mean, among other things, an employer has a specific obligation to investigate a complaint of workplace harassment in a manner “appropriate in the circumstances”. This is in addition to every employer’s general obligation to investigate a workplace accident or other health and safety incident. But what does “appropriate” mean and how does an employer meet these obligations? Are you in compliance with posting requirements? Workplace Violence and Harassment policies (if more than 5 employees) – templates available online and on ECAO’s member’s section, under Labour Relations. This message was deployed by MediaEdge Digital Inc.